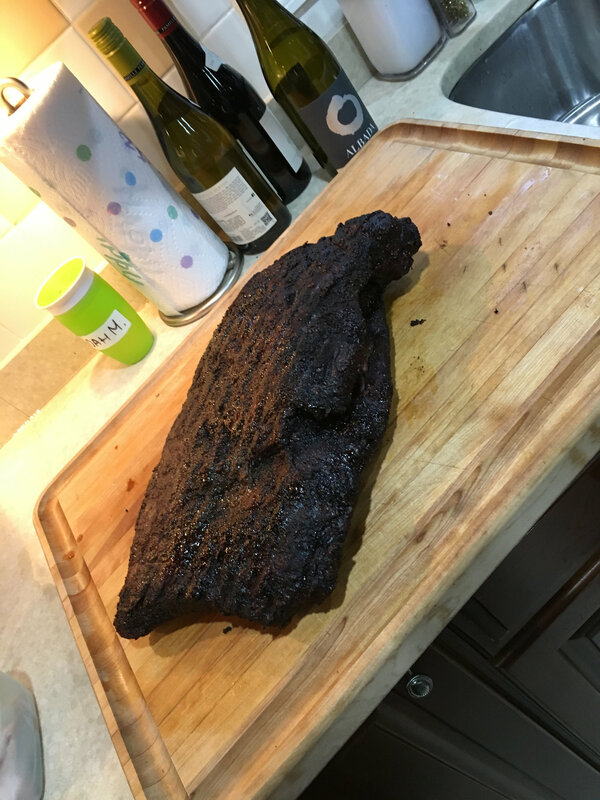 Have a lot to be thankful for this holiday and one of those things was my first brisket cook. 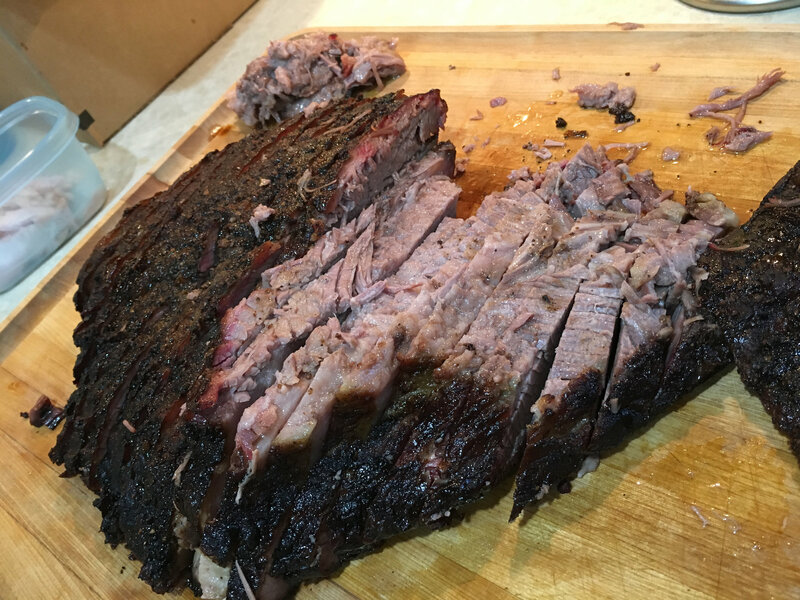 In addition to smoking a turkey, I wanted to serve brisket to my guests since I had the time to do the cook and have been thinking about for months. 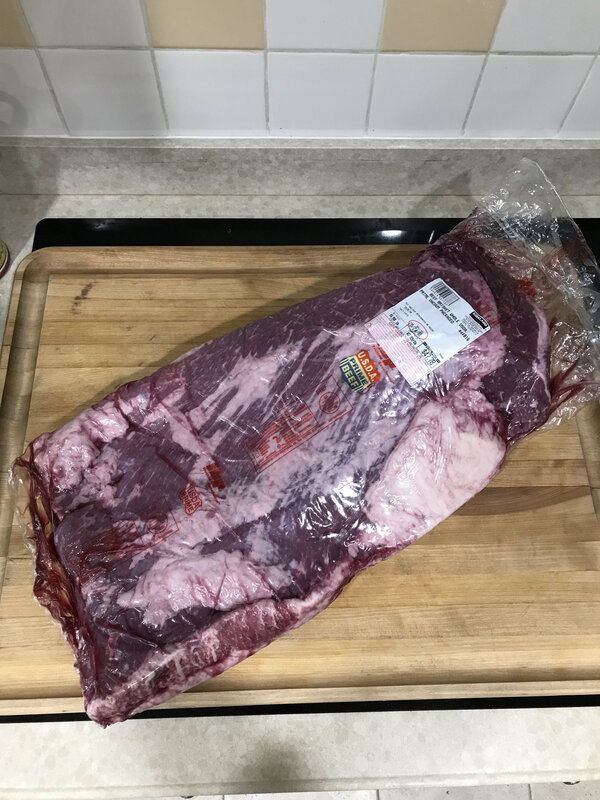 Picked up a ~14lb prime packer at Costco last weekend. Tuesday night I trimmed it and salted it then wrapped it in butcher paper and left in the fridge until Wednesday night. 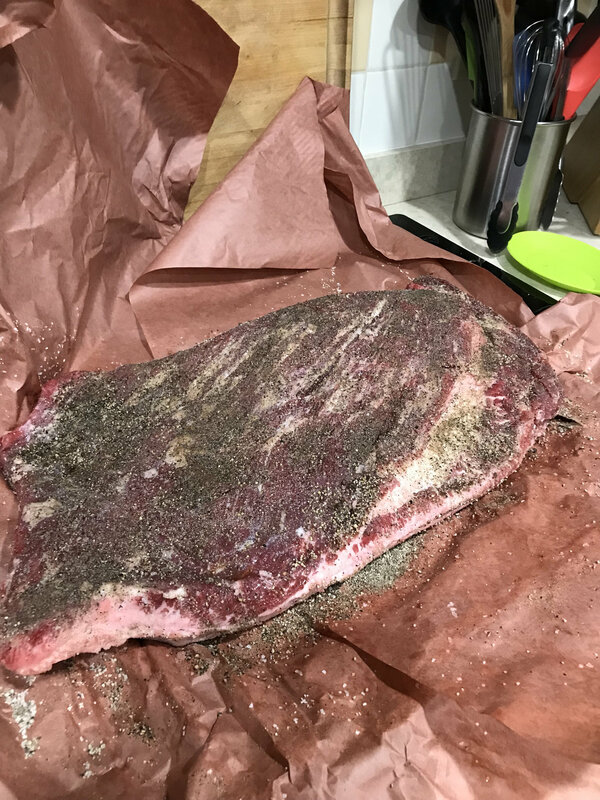 Got the egg going Wednesday evening and once temp settled around 250 I threw on a few hunks of Texas post oak and then the beef (to which I also added pepper and some garlic powder) just before 11pm. Thanksgiving morning at about 8:30am I wrapped it in butcher paper when the IT hit around 180. At 10:30 it hit 203 and I pulled it off, wrapped the backage in some towels and put it in a cooler until about 3:30 when I was ready to cut it for a 4pm serving. it came out PERFECTLY. 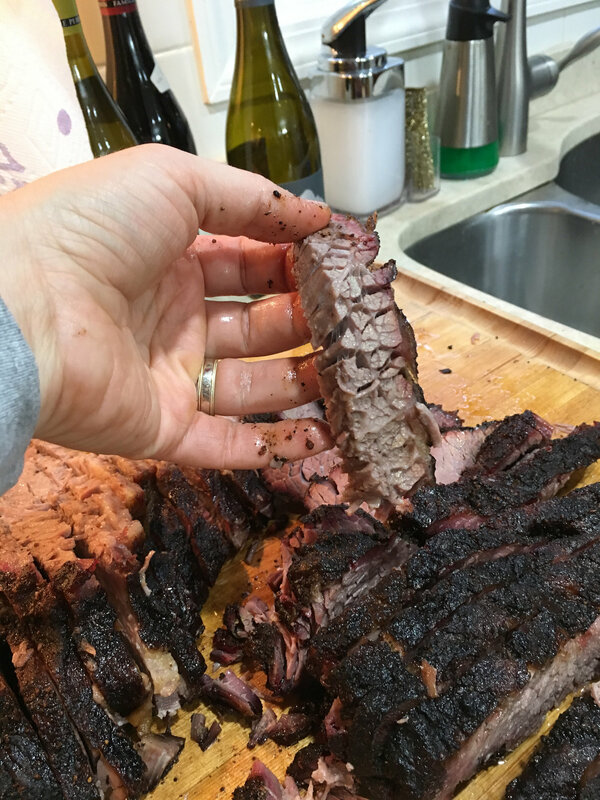 some of the best brisket I have ever eaten and my guests all agreed. I was worried about the cook with so mny things that could go wrong but thanks to the knowledge of all the experts on this forum I had a good plan and it worked. 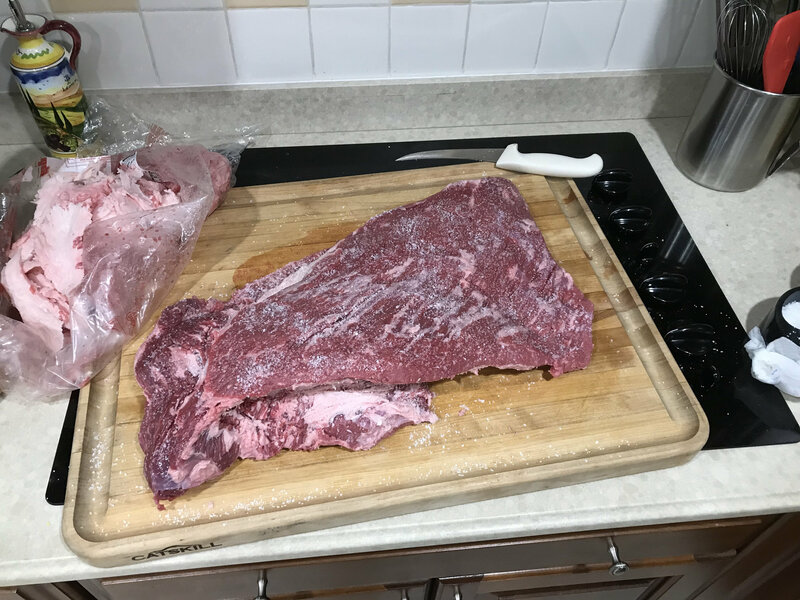 I will definitely be doing more briskets soon - in the mean time, can anyone point me toward a great brisket chili recipe? And that's a great looking brisket right out of the gate. Congrats. Nailed it. Great job on the cook. It looks perfect. Oh heck yeah. If that's your first then you've made the most of this site and any other information you've gotten - which is the purpose. It took me 4 or 5 to get one that good. 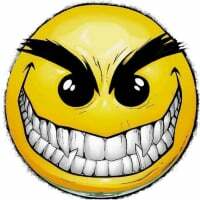 May the brisket gods continue to smile upon you as they have for your first adventure. Congrats and nice job! 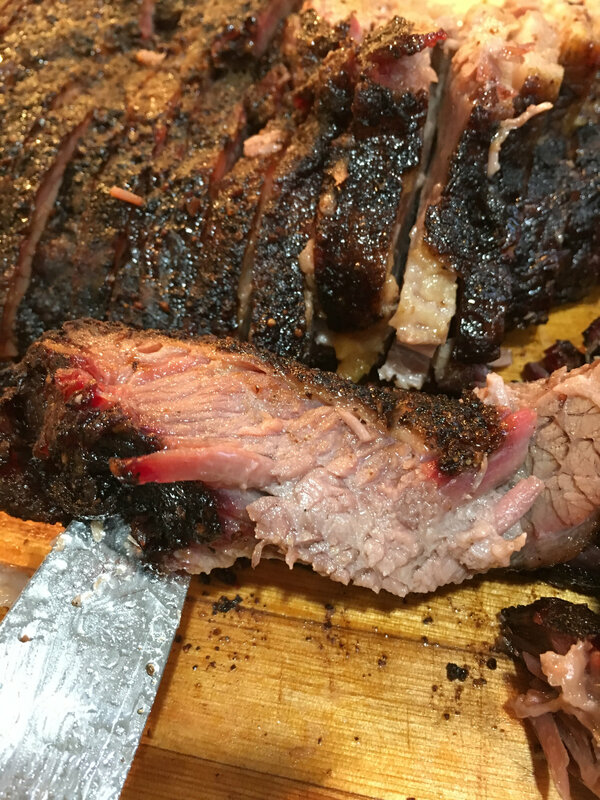 Other briskets will never taste the same. 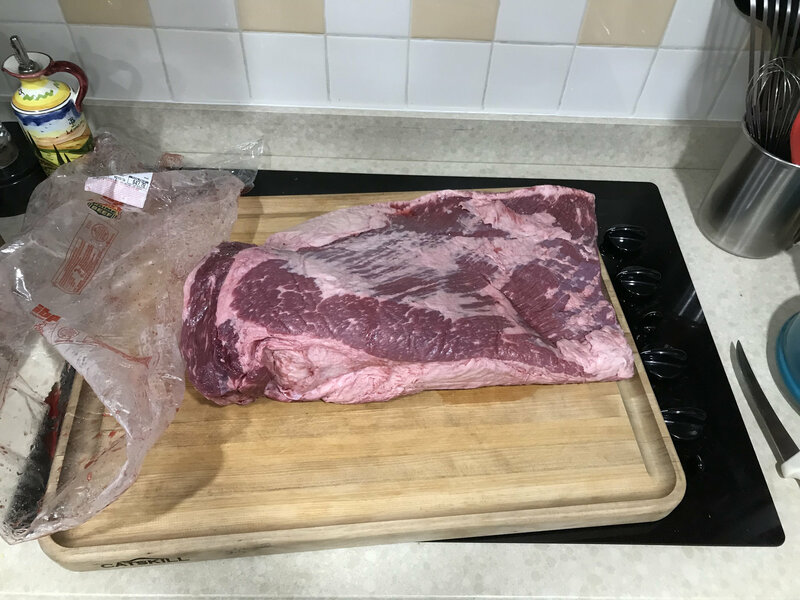 Great marbling - especially for a Costco brisket. Nice find! Looks great! Did you follow a specific recipe you are willing to share?